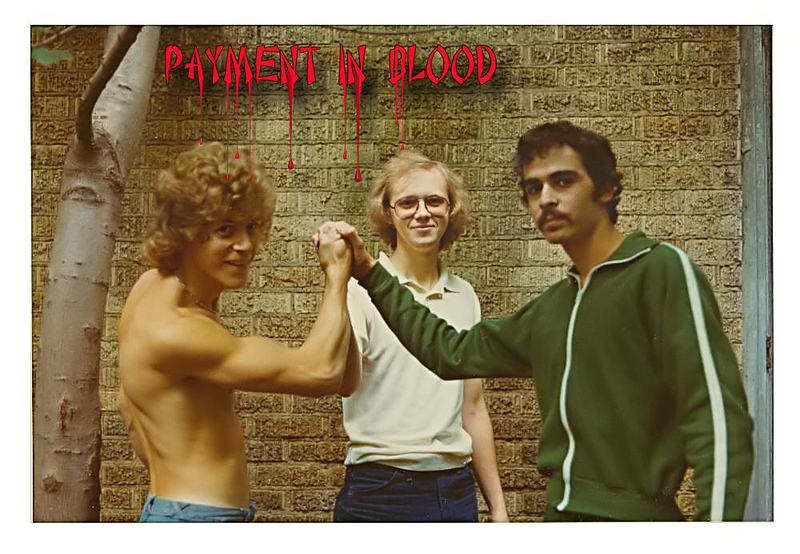 "Payment In Blood" was filmed in 1976-77 using Super8 cameras (both silent and sound) and has been digitally transferred to a video format. The film was shot in Akron, Canton & Zoar, Ohio, ran approximately 45 minutes and was on an 800 foot reel. Outtakes were on three 400 foot reels and incorporated into the directors cut version of the film. The story line involves martial artists hired to find a mad bomber terrorizing a small city. It doesn't take long for the action to begin and plot twists to cause our 2 heroes to begin to question everything. Updated titles for the movie "Payment In Blood - Directors Cut". 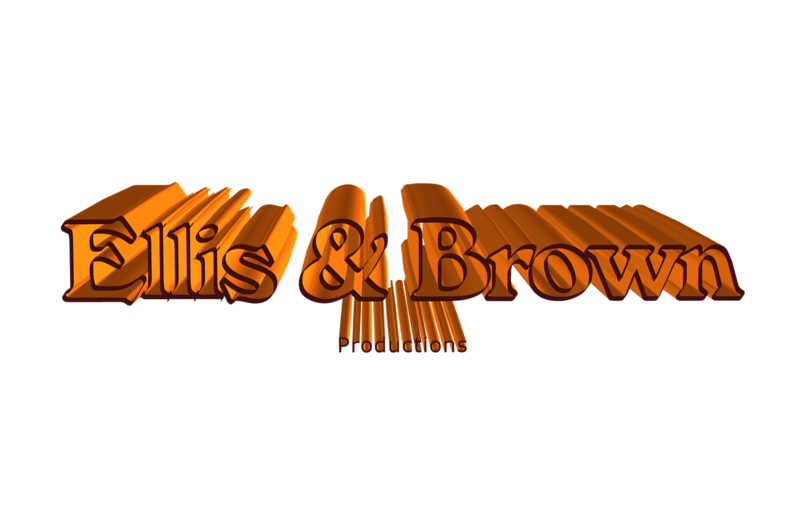 Chuck Ellis & Harold Brown in the police station scene. This scene was shot on sound film at the Canton Police Station. For the directors cut edition of the film, radio dispatch background sounds were added to provide atmosphere. 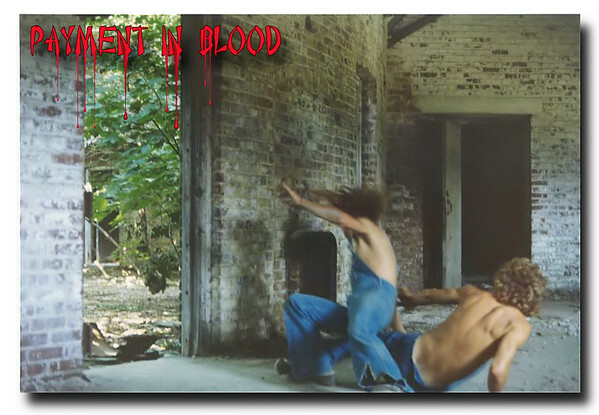 Brad Harper and Ed Ellis fight in the stables scene from "Payment In Blood". 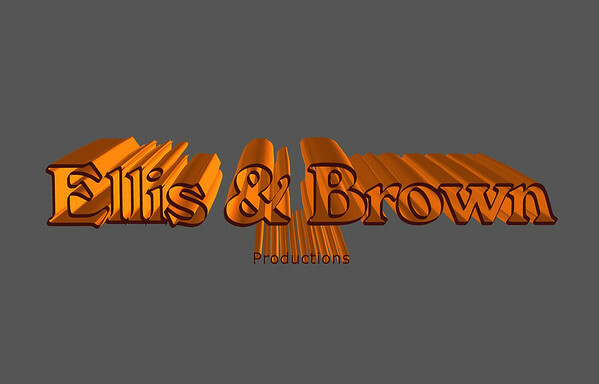 This footage was restored to the directors cut of the film in 2010. Lewis escapes his appartment before the explosion. The sound track for this restored scene was lost and had to be recreated for the Directors Cut of the film. 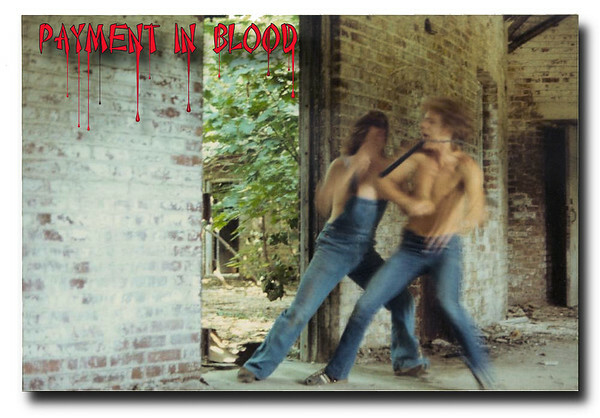 Ed Ellis stars in "Payment In Blood"
Photograph was taken at The Timken Stables on 13th Street in Canton, Ohio. 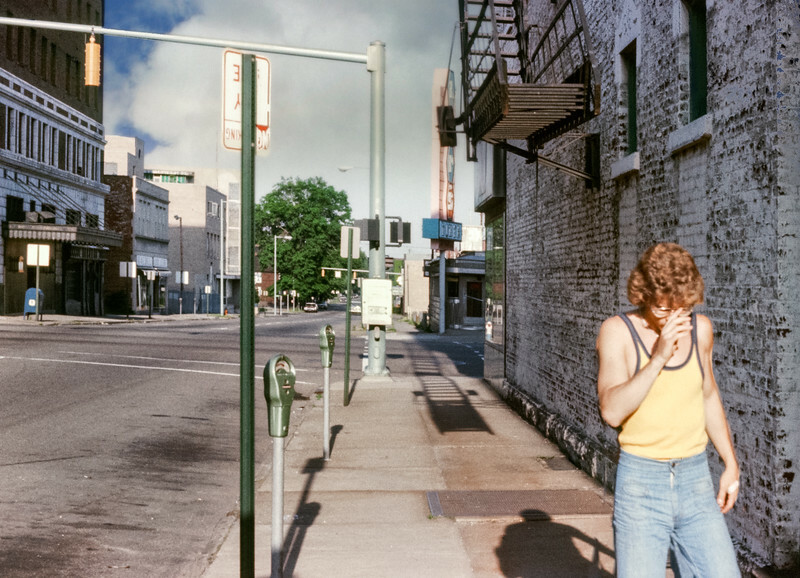 Last day of shooting in 1976. Alan Hebb on the receiving end of a kick. 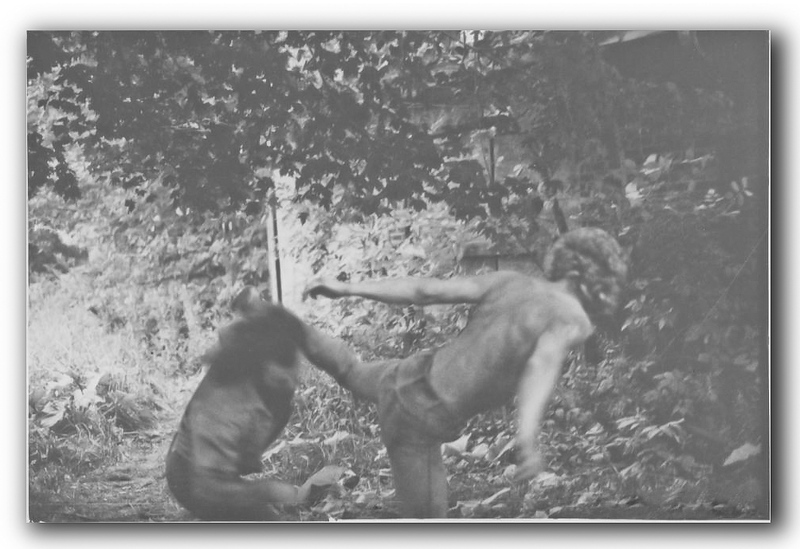 Ed Ellis wheel kick to Tim Longsinger. 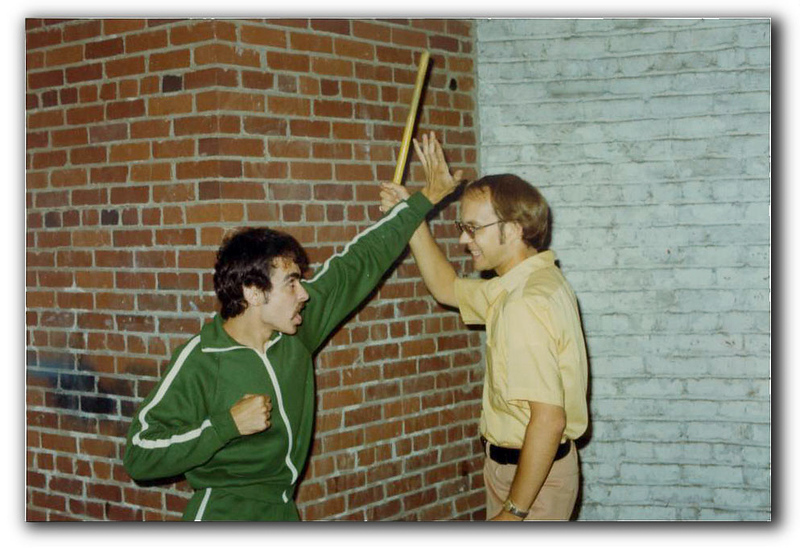 Tim Cookson attacks Harold Brown in the stables scene. 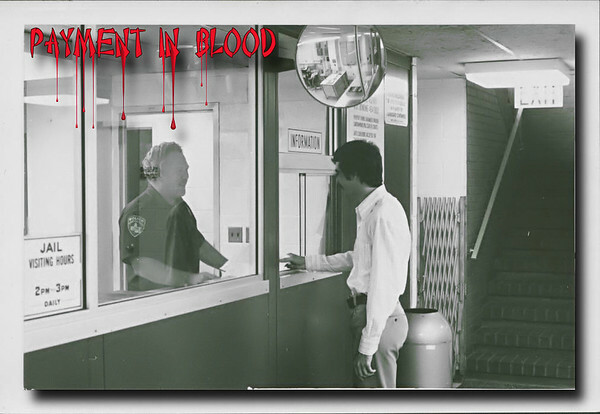 Noonchuck expert Ed Ellis frozen in time from the stables scene in "Payment In Blood". Assistant camera man, John Kozub, takes cameras to the next location for setup. 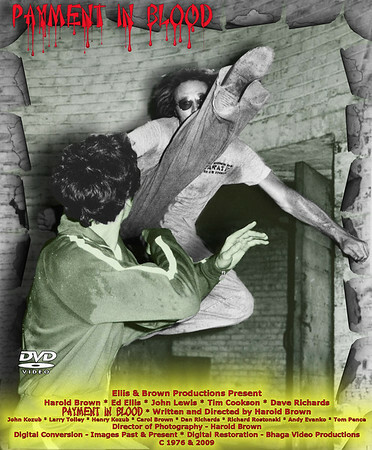 Rick Rostonski attacks Harold Brown in a scene from "Payment In Blood". 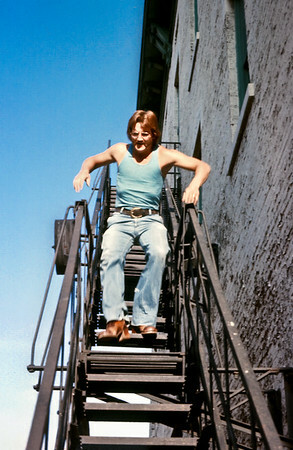 In this screen capture from the film, John Kozub patrols Richards' Compound. 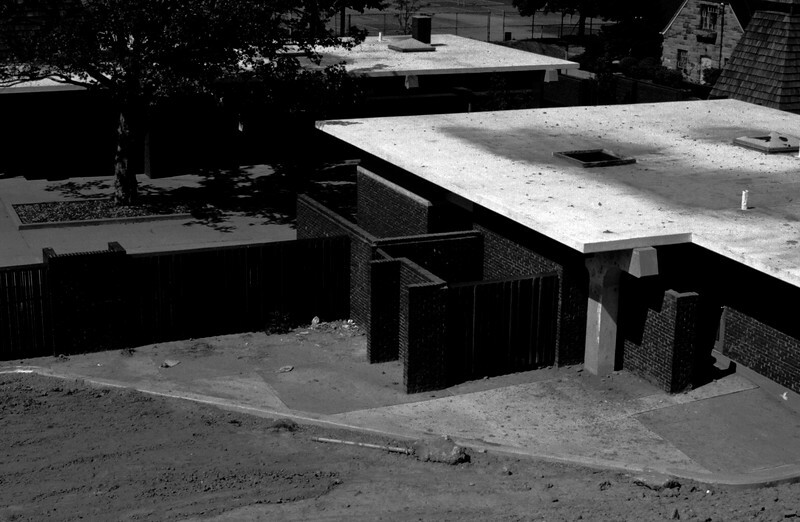 In this screen capture from the film, Ed Ellis scales the compound where Richards lives. 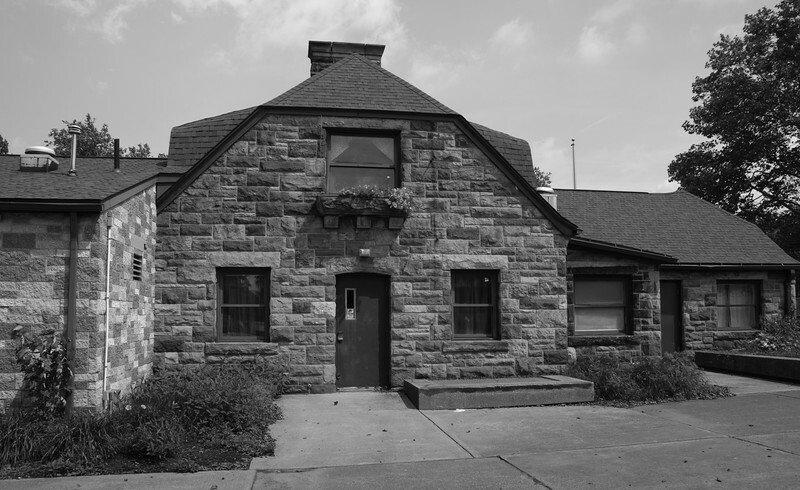 Richards' Compound was filmed at Akron's Reservoir Park. 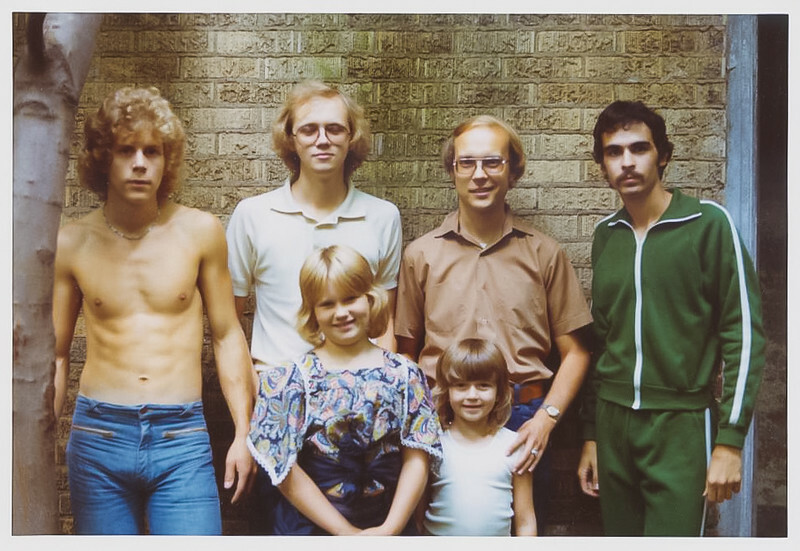 This photo was taken 34 years after filming. 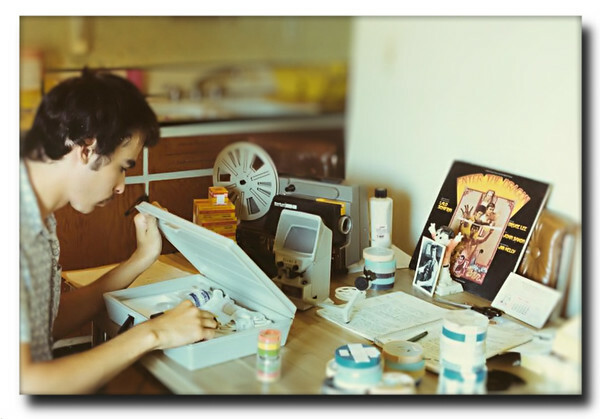 That's me editing the movie in 1976. 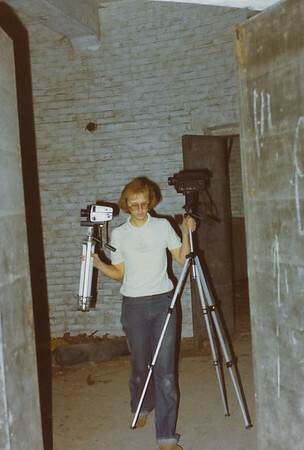 There were approximately 42, fifty foot reels of film that we shot during filming. 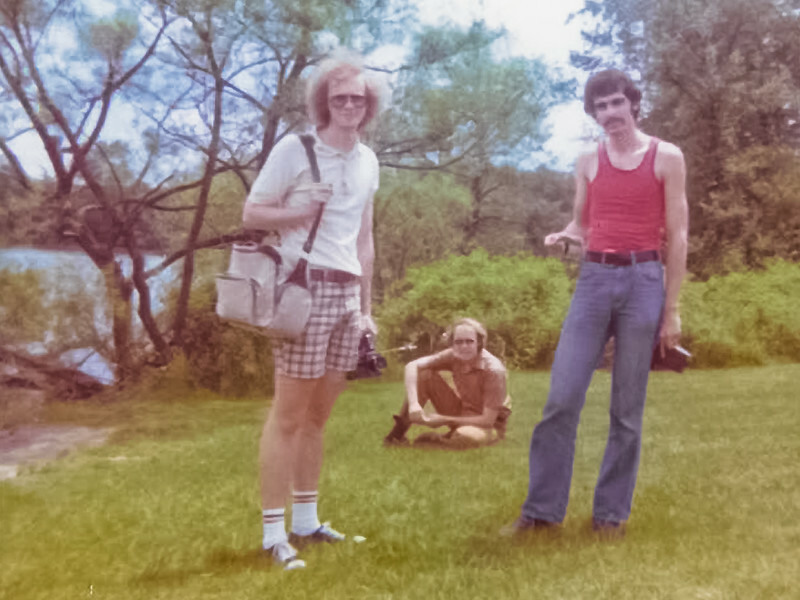 Most of the scenes where there is conversation were recorded on Super 8 sound film. Other scenes were filmed on silent film and then a magnetic tape strip was glued to the film using a special tool. A separate tape recorder was used for sounds and conversation for the scenes at E&H Studios and a projector capable of recording stereo sound tracks was used for sound effects and music added to the final film. 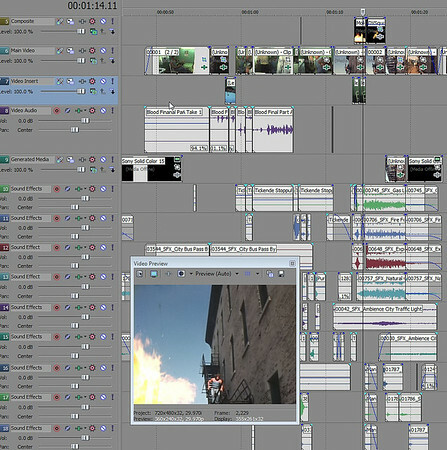 Screen capture of editing project for "Payment In Blood". This scene was originally filmed on silent film at 6th Street and Market in downtown Canton, Ohio. Almost a dozen sound effects were added to provide realism to the scene.